I hope to bore you further with my love and admiration for tiny plastic robots. 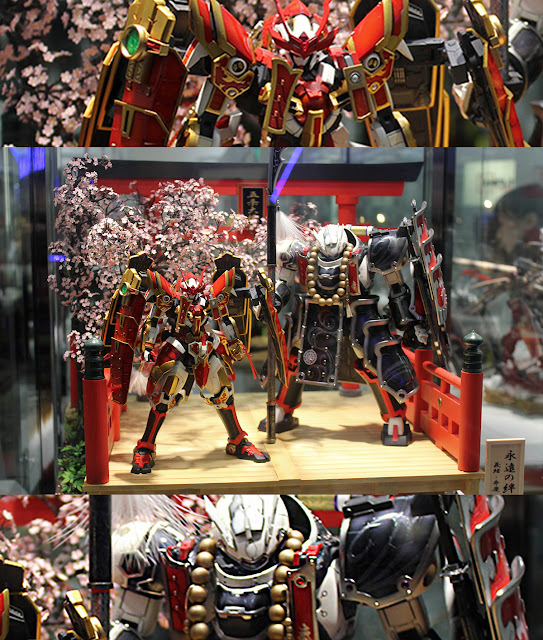 Visiting the Gunpla Expo in Summer was a fantastic, yet last-minute exercise. The Winter version was not. I planned on attending for several months, had a plan of attack, and spent a little more time on the floor. Unfortunately, again, I had camera issues...but I think the experience may have been a bit better viewing it through my own eyes rather than sticking my face in a camera viewfinder the whole time. Entering Akiba Ichi, the venue, we are greeted, given pamphlets, and line up to wait for a video presentation. Like last time, we were ushered into a room (about the size of my apartment) made of three gigantic LED displays that stretch a good ten feet above our head. 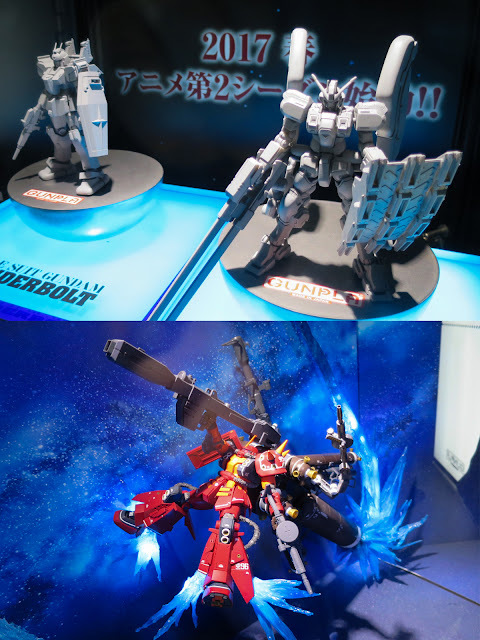 The video we were shows was a CGI battle between the newly upgraded Gundam Barbatos Lupus, and the (at the time) newly announced villain, the Gundam Vidar. This was the first time fans were treated to seeing the Vidar in action, and it was a fantastic experience as they chased one another from screen to screen, dealing blows back and forth. The video ended by previewing each Gundam as a new member of the 1/100 Mechanics line from Bandai, and we exited. Outside, the noise of the show enveloped us, and we were greeted by a completely different set of displays than in the previous expo. 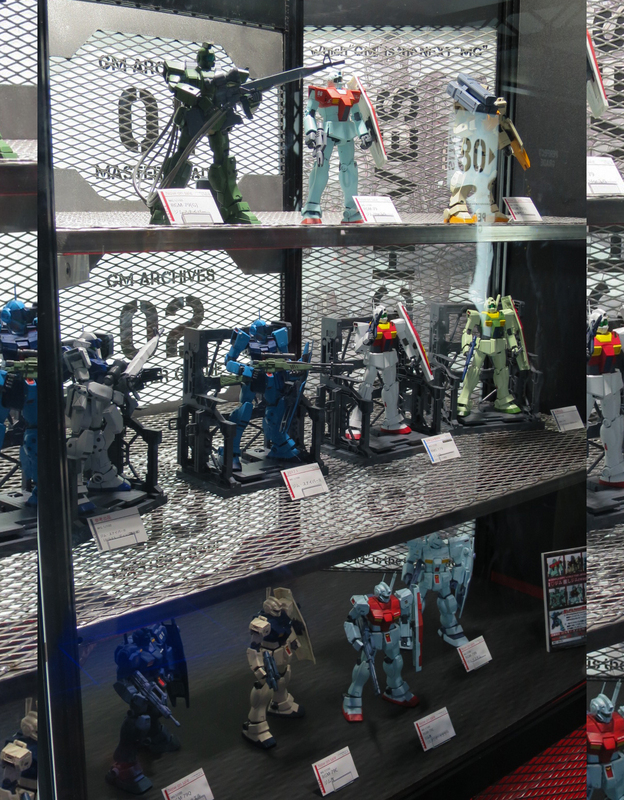 The new dioramas were lit, the walls were made of steel grates and colored glass, and monitors displayed clips from many different seasons of Gundam. And, as a bonus, we were each given our very own 1/100 scale Barbatos sword, a part of the new 1/100 scale model kit series, as a promotional gift. 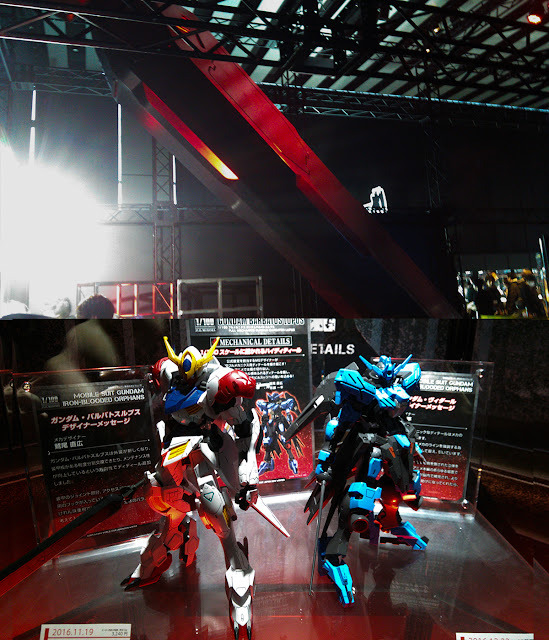 The theme for this Expo was Gundam: Iron Blooded Orphans Season 2. 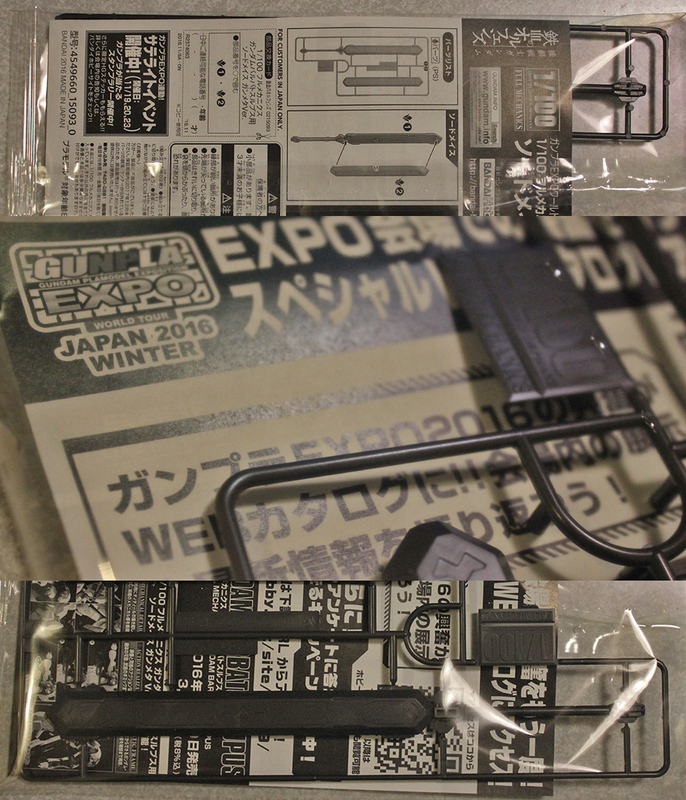 IBO stuff was crammed in everywhere, including a gigantic sword replica at the entrance. The true purpose behind all the new model kits and pop-star display kits is to get you excited about the possibility of simple model kits you can buy at a shop. The ultimate crowning achievement of such an endeavor is undoubtedly the Gunpla Builders Word Cup. 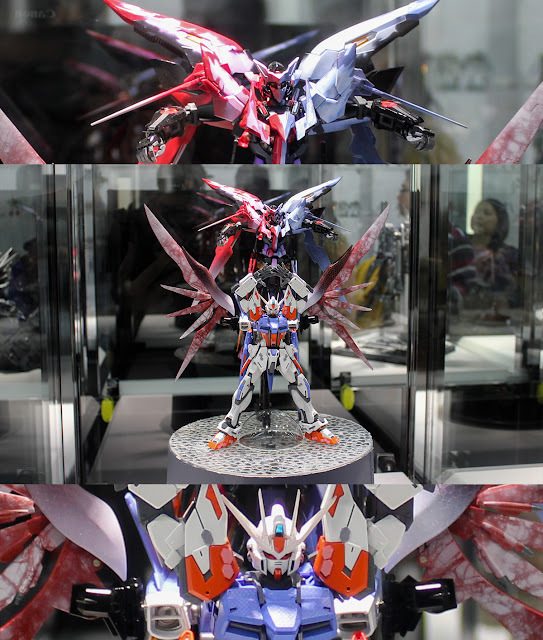 The GBWC is held preliminarily in each of the attending countries, which select finalists, who are then sent to the World Cup Finals in Odaiba, Japan. The vote for Japan's semi-finalists took place at the Winter expo, and I was lucky enough to get to cast my vote for the very first time. The Finals are over now, but the winners of the GBWC are being displayed in Gundam Front for a limited time (stay tuned for a video coming soon showing all those winners off). 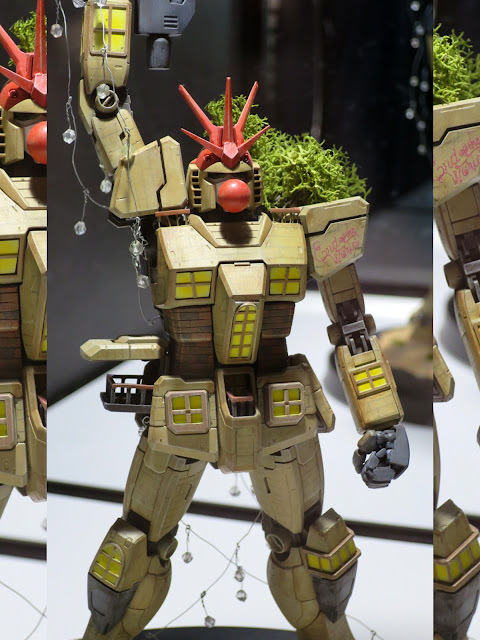 DJ Love from Sekai No Owari had this Gundam House on display. Now, rather than go through all of the details of everything I saw at the event, I have yet again created a video showing everything that happened at the event. This time, the video is not all sped-up and weird, and more time was spent showing the details. Just to close, I have finished my first level Japanese study, and I'm a free agent for a little while. Soon, I will finish a video all about Gundam Front, some Star Wars: Rogue One events in Tokyo, and more.